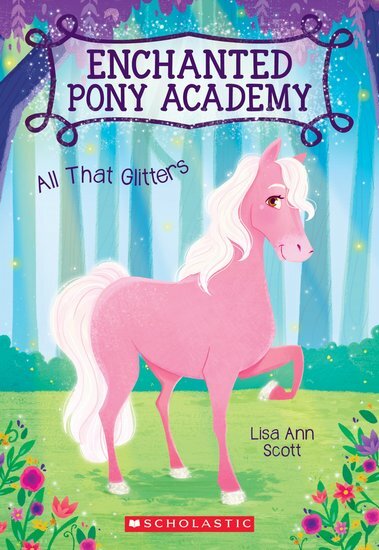 Welcome to the Enchanted Pony Academy, where special ponies learn to use their glitter magic. (Just as pretty as it sounds!) Lucky pony Daisy can hardly believe she’s been offered a place at this magical school. She’s feeling super-excited – and a little nervous too. Daisy’s hooves are sparkly, just like every other magical pony’s. But they don’t give off glitter. Even worse, she has no idea what her magical power might be! Will Daisy find her hidden power and make all her dreams come true? Or will it turn out that there’s been a huge mistake?